Hello! This is something that I accidentally *forgot* to do a month ago. I’m doing a so-not midyear book and blog update to show you how I have (or haven’t) been keeping up with my goals for this year. My 2016 Reading Challenge, which I keep track on Goodreads, is… not going as smoothly as I had planned for. My goal is to read 100 books by the end of this year, and you can see that I am quite behind. I have read a total of 16,110 pages, which doesn’t sound that bad, right? But I’m 9 books behind, and… the only excuse that I have is that I haven’t given my reading time such a large priority. I’m not at school, and I’m not working, though I am doing several activities, and studying and working on other things. The other ‘concrete’ excuse that I can give is that part of my ‘reading’ time has also gone to developing this blog. It’s been almost 8 months since I posted my first post on January 5th (wow). I have written nearly 80,000 words (but probably around 5,000 of those words are quotes/sources), and I think I’m doing pretty well? My original goal was to hit 200 posts by the end of this year, but considering the pace that I’m going, I’ll most likely be able to hit 150. And that’s alright. I’ll be able to work more on the quality of my posts, instead of just rambling on and on, like I often tend to do. 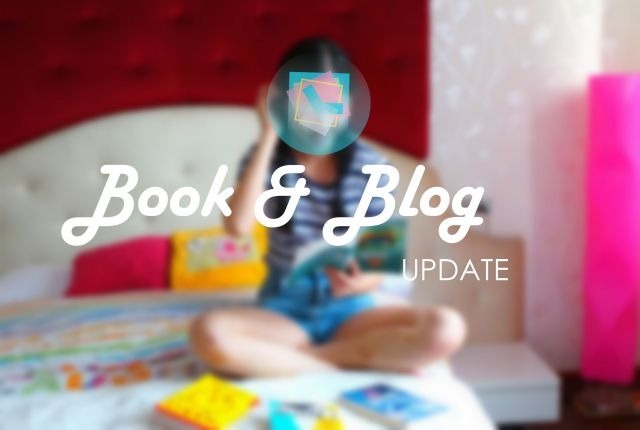 This post was to basically help me realize how far behind I’m on my reading challenge, and to show you how I am doing overall (which will hopefully motivate me to keep up). Oh that infographic with how much you wrote is amazing, how’d you do it? You are doing great & I feel like you’ve been blogging for longer than 8 months! I’m ahead of my reading challenge but my challenge is only 60 books I believe; I want to increase later on, though! 8 months seems like such a long time, but I still feel like a 'newbie' blogger xD I don't understand how you, on the other hand, can blog so many good blog posts like literally almost every day. You should definitely increase your challenge, and even if you don't meet it, it'll 'push' you to be more active on your reading.